Your beauty is sure to WOW them in the gorgeous Marchesa Notte™ Flutter Sleeve V-Neck Chiffon Tea Length Dress. Delicately trimmed, fitted waist with peplum detail. Beautifully tiered skirt in floral print. 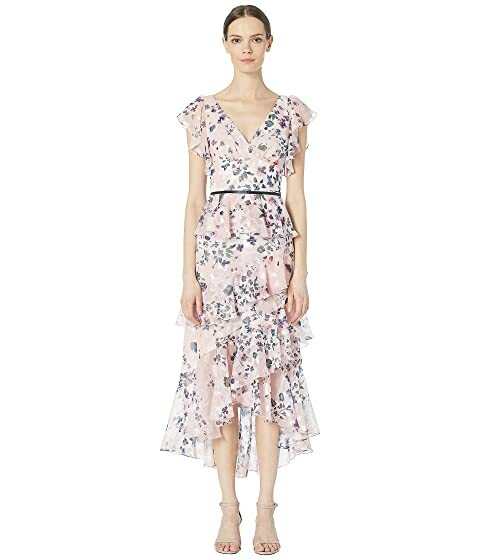 We can't currently find any similar items for the Flutter Sleeve V-Neck Chiffon Tea Length by Marchesa Notte. Sorry!